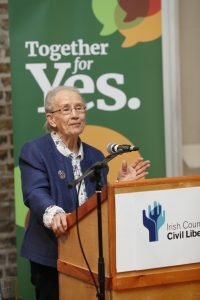 Former Supreme Court judge Catherine McGuinness, Senator Ivana Bacik, and editor of Hot Press magazine Niall Stokes were amongst speakers at an event organised by the Irish Council for Civil Liberties (ICCL) which brought together people who campaigned against the insertion of the Eighth Amendment into the Constitution in 1983 and which took place at Dublin’s Smock Alley Theatre last night. 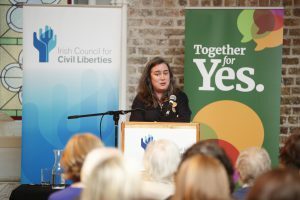 Legal experts Catherine Forde BL and Máiréad Enright as well as campaigner Pauline Conroy all spoke about individual cases, watershed moments and the shadow the Eighth has cast over women and girls’ lives for the past thirty-five years. 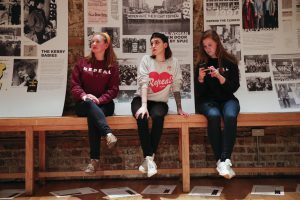 A multimedia exhibition, Women to Blame, which was curated by Therese Caherty and Pauline Conroy, showcased 40 years of struggle for contraception and reproductive rights. 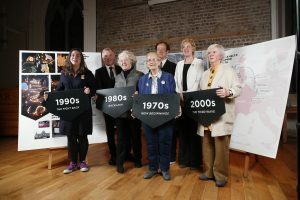 Excerpts from Aisling Malone’s new documentary This Is Ireland were shown alongside clips from the archives, including a TV debate between William Binchy and former president Mary Robinson. 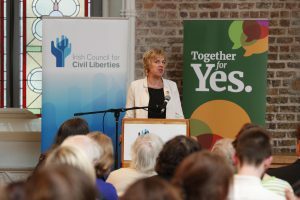 The Irish Council for Civil Liberties (ICCL) is today sounding an alarm about the chilling effect it is observing in the wake of the censorship of Maser’s Repeal the 8th mural and Una Mullally’s Question of the Eighth literary event. 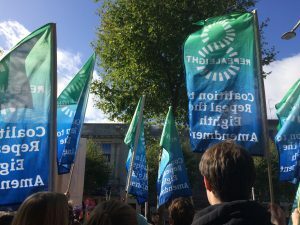 We have learned that over the past few weeks numerous arts organisations and exhibition spaces have cancelled their invitations to Grace Dyas and Emma Fraser to show their theatre piece Not At Home. Not At Home enables visitors to the exhibition to see, listen to and feel the experiences of women who have travelled abroad for abortions. 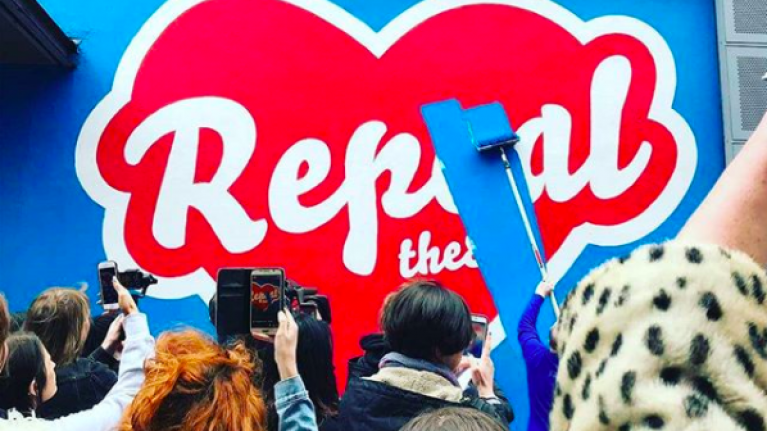 The Artists’ Campaign to Repeal the Eighth has also reported that they have had to scale back events at which they intended to facilitate public discussion about the 8th Amendment at the same time as screening Witness: a collection of short films and filmed readings of women’s stories. 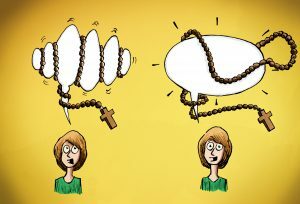 In response to this worrying trend, the ICCL has released a policy statement which contains our interpretation of Irish and European law relating to freedom of artistic expression during the pre-referendum context. 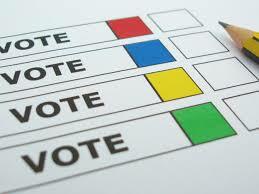 We firmly believe that the use of the Charities Act 2009 to censor artistic expression that would ordinarily be acceptable to the Charities Regulator outside of a referendum period is an inappropriate use of that legislation. 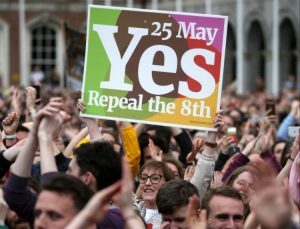 Irish Constitutional case law and the case law of the European Court of Human Rights make clear that the State’s obligation to ensure freedom of ‘political’ expression is more important than ever during an election period. 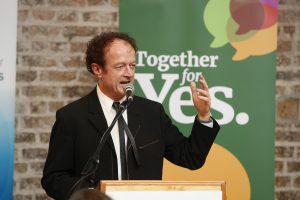 As a result, the censoring of artistic expression containing ‘political’ content during a referendum period, where that content and discussion of it would ordinarily be acceptable to a State body because it is integral to the art is highly questionable from a legal perspective. 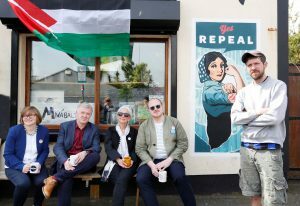 At 11am today we will unveil a mural which we have commissioned by street artist Giant Sigh calling for a YES vote in the Referendum. 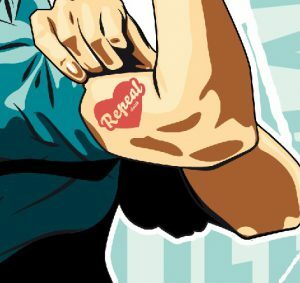 Speakers at the event in Bang Bang café in Phibsborough will include poet Paula Meehan, Cian O’Brien of Project Arts Centre, Orla O’Connor of Together for Yes, and a representative of the SUBSET artistic collective. 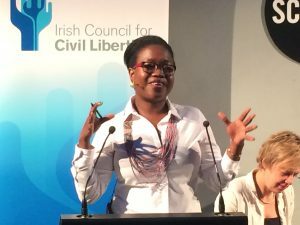 The Irish Council for Civil Liberties (ICCL) welcomes this week’s passing of a Dáil motion in favour of ratifying the UN Convention on the Rights of Persons with Disabilities (CRPD), but has called for real reform to follow this symbolic step. 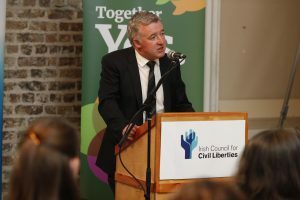 Liam Herrick, Director of the ICCL, said ‘The government needs to show its commitment to the rights of people with disabilities in real terms, through the enactment of legislation and provision of resources in ways that meet the requirements of the Convention. 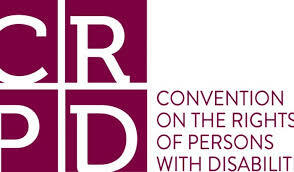 Ratification of the CRPD is a symbolic step, but in reality Ireland’s treatment of people with disabilities has a long way to go’. 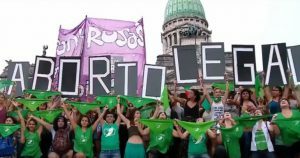 Lastly, Mr Herrick said: “We are also extremely disappointed to note that there has been no mention of ratifying the Optional Protocol to the Treaty, which allows people to take cases under the CRPD, and we would call for reconsideration of this position during the ratification process”.